At this point the performer states that this isn't right, and offers to repeat the effect. The white silk is made to change into a white silk. A blue silk is found in it's place. 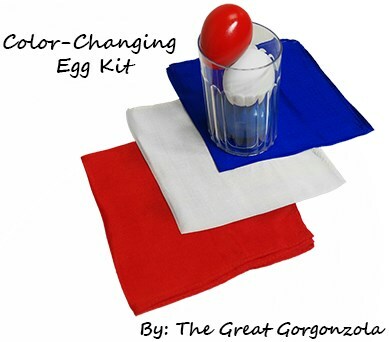 For the finish, the white egg is changed into a blue egg.